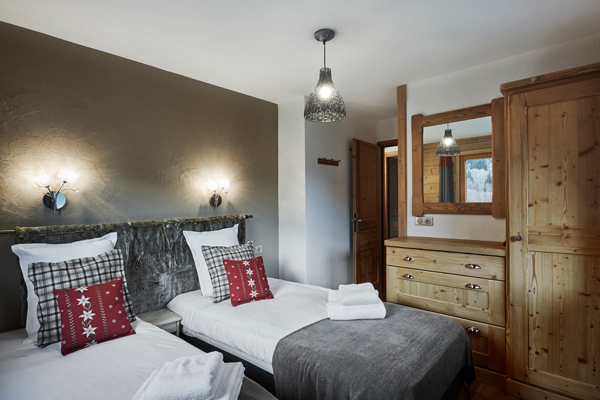 Located at the entrance to Meribel, the cosy chalet Chalet Lapin is within easy walking distance of the vibrant resort centre. The slopes and lifts are best accessed by hopping on the minibus service laid on by the chalet operator in the mornings and afternoons. 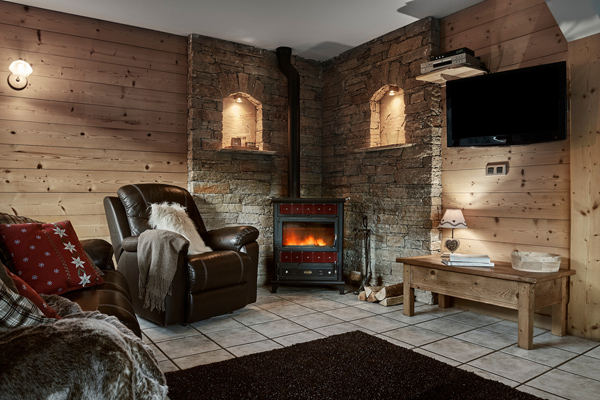 The chalet benefits from 3 ensuite rooms and a good sized living/dining area for 6 guests. We think the Lapin best suits a family or small group of friends. 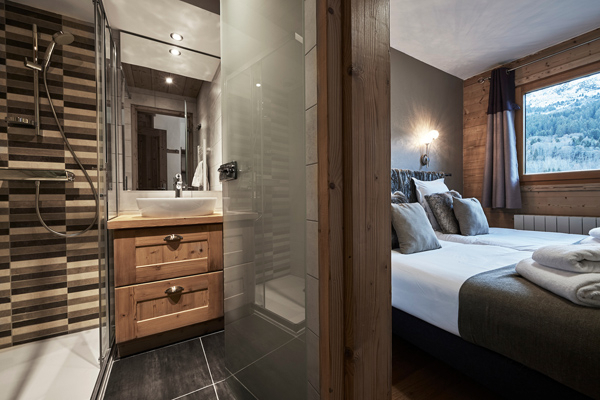 * Our mini bus service is available from 8.30 – 10.30am and 4.00pm – 7.00pm for those of our chalets located out of walking distance from the lifts. ** We offer a free six day Meribel Valley ski pass to every member of your group during weeks 4 and 5 (1st and 2nd Weeks in Jan). After skiing, the food is often the highlight of any chalet holiday. With long days of high energy activities outdoors, delicious, fun and convivial meals make an integral part of the trip. Having worked with outstanding cookery schools and experienced cooks, menus you will look forward to have been developed, using fresh ingredients, locally sourced where possible, complimented by a range of well selected wines. Each menu is designed to provide much needed energy so you are ready to give your best to the physically demanding sport, whilst also giving your taste buds a treat. The cooks make sure those choosing the Plus+ Service are never left wanting when it comes to food or drink. Each day starts with a cooked breakfast alongside the continental choices, load your pockets with snacks for your day out, return to afternoon tea then later enjoy canapés and aperitifs before your sumptuous four course meal. You’ll be offered more choices of wine, unlimited supplies of beers and soft drinks, all rounded off with a shot of Génépi, if you’re brave enough! Every meal is important and great care is taken to ensure you have the best, well prepared and beautifully presented food every day. As keen skiers ourselves, we are well aware that you need good hearty breakfast to enjoy a good day on the mountain. We offer a great range of fresh fruit juice and water to get you hydrated, fresh warm baguettes straight from the bakery served with local jams, flaky croissants and sweet pains au chocolat, yoghurts and fruits and plenty of delicious complex carbohydrates such as porridge, muesli and cereals to keep you well fuelled, all served with tea, coffee and hot chocolate. 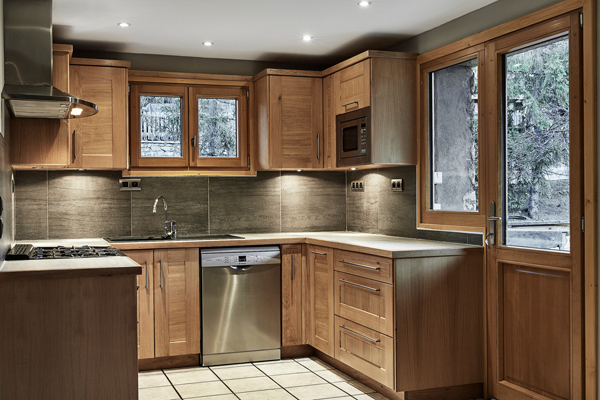 What nicer thing is there than to open the door to your chalet and smell freshly baked goodies awaiting you? Your host will lay out a daily changing range of freshly baked cakes, tray bakes or cookies to welcome you back from your day out, complemented by a choice of hot drinks. If you love chocolate cake and want it every day, no problem! Just ask your host and they will be happy to oblige, so you can enjoy your favourite treat. The aromas coming from the kitchen each evening will be certain to stir your senses, relax with a vin chaud while your host prepares a three-course meal followed by coffee and accompanied by our specially selected French wines. The carefully selected dishes will warm your soul and fill your bodies, they include some local mountain favourites with rich roasted meats and hearty stews, as well as delicious fresh fish all served with perfectly matched accompaniments and seasonal vegetables. Sublime desserts help satisfy the sweetest tooth. Perhaps the best part of a catered chalet? Not having to lift a finger all week, as the hosts clear away the dishes and do the washing up you are free to play games, watch the stars, chat by a roaring fire, enjoy a movie or hit the town. A long day of activity will make for hungry little ski-kids. Our hosts create simple menus of home style family favourites and pudding treats to be served at 6pm. Dinner times are of course tailor-made to you and your party. We will happily cater for any special diets and requirements. We would ask, if possible, for you to let us know in advance so that we can shop and prepare well for your arrival. Cauliflower & Roquefort Soup, Bacon Shards. Beef Bourguignon with a Puff Pastry top, Leek & Mustard Mash, Garlicky Green Beans. V – Sweet Potato & Chickpea Tagine, Couscous, Salad. Chocolate Orange Mousse, Vanilla Cream, Cardamom Shortbread. Scones with Whipped Cream and Strawberry Jam. Spinach & Mozarella Stuffed Chicken Breast, Wrapped in Bacon, Pesto oil. Dates valid: 4th & 11th January.